There was coffee, sweets and cheese galore at the VIP Preview of the De Lish Dessert, Coffee and Gourmet Food Expo 2017 last week, which WAFarmers staff attended as part of the WAFarmersFirst Milk event sponsorship. In addition to sampling delightful delicacies including gelato, cheddar with truffle, and fruit mousse, nearly 30 competitors battled it out in the qualifying round of the Latte Art Smackdown, which involved the baristas pairing off and creating two identical cups of coffee with foam designs within a four minute period. 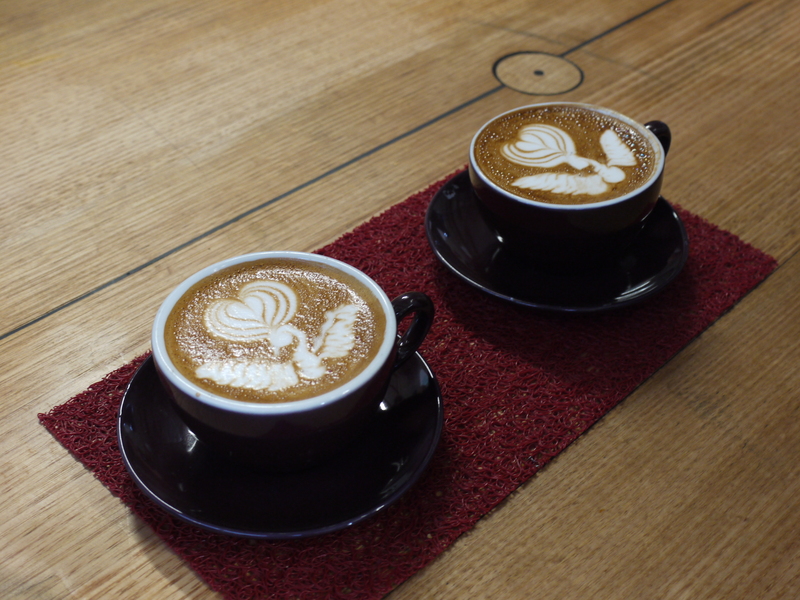 The baristas did not have to create the same design as each other, but the two cups they created had to be the same. The three judges looked for similarity between the cups, symmetry in the design, and the degree of difficulty, and selected a winner from each duo to progress forward. WAFarmers congratulates the six winners from the Latte Art Smackdown, who will now compete in the finals at the expo on 22 January at Crown Perth. 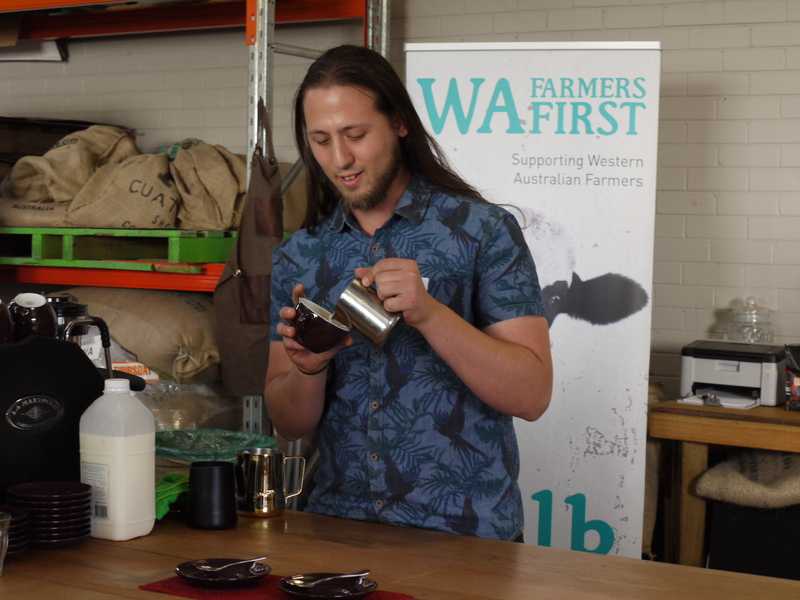 Announced at Heart of WA in September, WAFarmersFirst Milk is a major sponsor of the expo alongside Darkstar Coffee. Our milk will be used in barista challenges and for general coffee distribution at the expo. Visit www.delishexpo.com.au/tickets/ to purchase tickets online. PHOTOS: (Left) Latte Art Smackdown competitor, Rummy. (Right) A creation from one of the competitors.